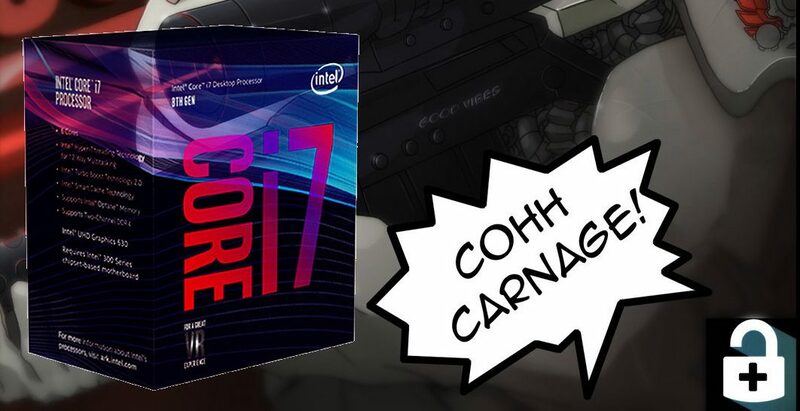 Cohh Carnage has teamed up with Intel Gaming to gift one of their fans with brand new 8th gen i7 processor. To enter in their latest Intel i7-8700 CPU Giveaway grab your free entries by following few simple steps listed down below! Now everyday computer tasks can happen faster. Edit photos and videos seamlessly. Move between programs and windows quickly. Multi-task easily. Better still, all that performance comes with up to 10 hours of battery life, so you can take your computer wherever you go without worrying about cords and plug points. Get an amazing entertainment hub—stream 4K UHD videos, power virtual reality, and play the most demanding games. With 4x more pixels on screen than traditional HD, you can enjoy sharp, lifelike visuals, complex shading, and fast frame rates—all with virtually no stuttering, buffering, or lags. And be ready for revolutionary immersive experiences yet to come. Built-in security adds a critical layer of protection to make password logins, browsing, and online payments safe and simple. You can log on with a look, your voice, or your fingerprint for rock-solid securitythat’s fast and hassle free. Store passwords, personal information, and auto-fill information with one master password. Plus touch screen, voice commands, and stylus options offer natural and intuitive interactions.